McGill University’s faculties and schools do a phenomenal job in their respective areas of study. They regularly win prestigious awards and attain the highest rankings on Canadian and international lists. 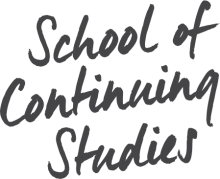 Faculty Partnerships and Summer Studies is the link between the School of Continuing Studies and the University’s other schools and faculties. Its mission is to deliver McGill’s renowned expertise to new university and external audiences. In these dynamic projects, Faculty Partnerships will coordinate programs and courses, as well as registration and logistical support. The partnering school or faculty will provide subject-matter and teaching expertise. These offerings include many learning opportunities for local, out-of-province, and international students and professionals. We also offer continuing education programs for a wide range of occupations and professional orders in the Montreal area and beyond.